The body works hard to maintain balance. PH Balance – that fine line between too much acidity and too much alkalinity – is difficult to maintain in today’s world. Food, toxins and lack of exercise can all lead to an overly acidic system, which harms the body. Cambria Blue also assists with slow transition issues. Complete with 84 minerals essential to sustaining healthy PH levels, our exclusive Cambria Blue Alkalizing Solution will help you start your day more balanced. Please see our information page for acid and alkaline foods. 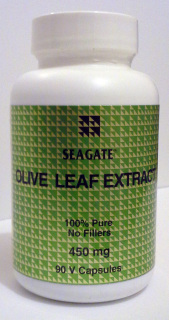 We feature Seagate Olive leaf extract, as it is a 100% pure source and extracted and manufactured without chemicals or solvents. Independent tests have shown it increasing immunity. Persistent systemic infections do not stand a chance against olive leaf. This is an easy way to insure wellness. 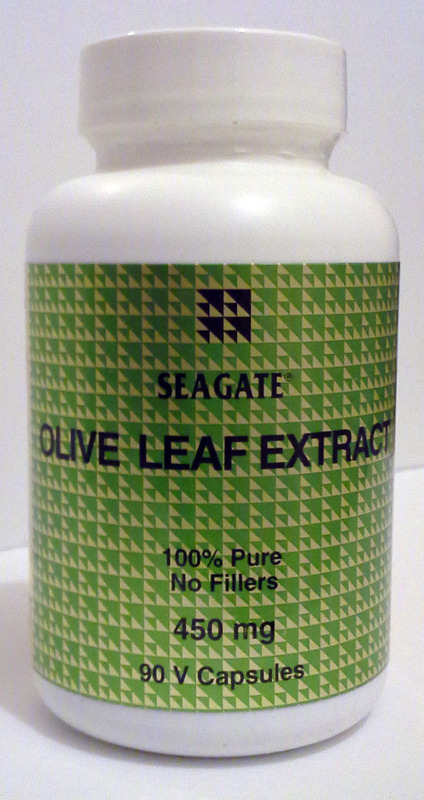 The olive leaf comes in 90 capsule bottles. therapy, without the side-effects of antibiotics. Grapefruit Seed Extract is a natural antimicrobial ingredient that is widely recognized for nose and throat irritations, and for its use as a natural stabilizer in foods. Certain leading brands of nasal sprays use this ingredient as their only active ingredient at a concentration of 1,000 ppm. Seagate Olive Leaf Nasal Spray has 2,000 ppm of grapefruit seed extract to insure excellent stability and antimicrobial properties. 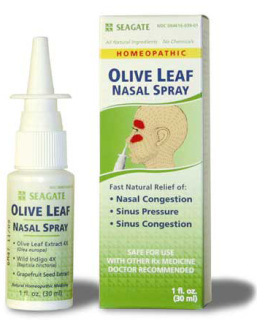 Lab Analyses: The FDA required that we perform a “challenge” test at an independent laboratory for this type of homeopathic remedy, where very high concentrations of infectious organisms are introduced into the olive leaf nasal spray liquid over a one month period. One million colonies/ml each of bacteria (E. Coli, Staph, and Pseudomonas), fungus (Candida), and mold (Aspergillis) were injected into the Seagate Olive Leaf Nasal Spray and tested over a one month period.